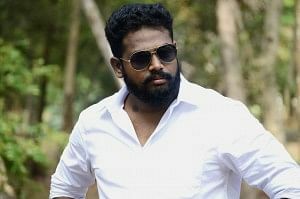 Cinematographer-turned-producer PG Muthiah of PG Media Works, who is currently producing the Lisaa and Danny, starring Anjali and Varalaxmi Sarathkumar, respectively, will also be bankrolling a film titled Cocktail. Directed by debutant Ra Vijaya Murugan, it is said to be India's first film to feature a cockatoo (a bird belonging to certain parrot species) in the lead. Muthiah says, "A cockatoo from Australia, will be playing the lead along with few stars. We will reveal the names of these actors in a few days. We started shooting for the film about a week ago. It will entirely be shot in Chennai." SN Fazil, who is in charge of editing Lisaa and Danny, has been roped in for Cocktail as well. The rest of the cast and crew is expected to be announced soon.